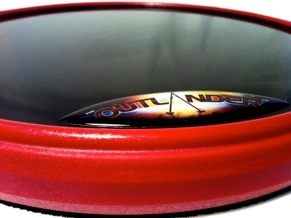 For the promising student, or the traveling player seeking a more portable and budget conscious entry into the OffWorld Percussion universe, we offer the Outlander™. The Outlander™ features our signature DarkMatter™ surface, and is complimented with a firm non-slip neoprene bottom that is stiff enough to use as a quiet option for late night sessions. 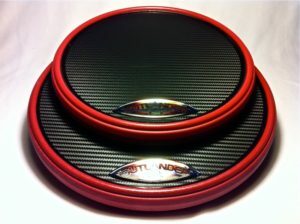 This pad is very popular among Pipe Band players who appreciate the tone and feel of the DarkMatter™ surface and the low profile edge. 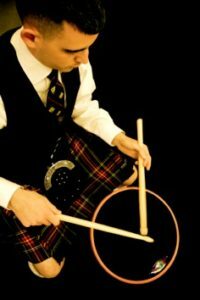 As seen displayed here by Scottish Pipeband extraordinaire, Matthew Bell. Available in two sizes, the Outlander™ Series pads suit a wide variety of rehearsal needs at prices that won’t break the bank.